I finally made a Hexographer map of the Sorrowfell Plains, the main campaign setting for my Crux of Eternity game. I haven't yet put the roads on it, but it otherwise includes all locations noted in Crux of Eternity or any of the associated one-shots. 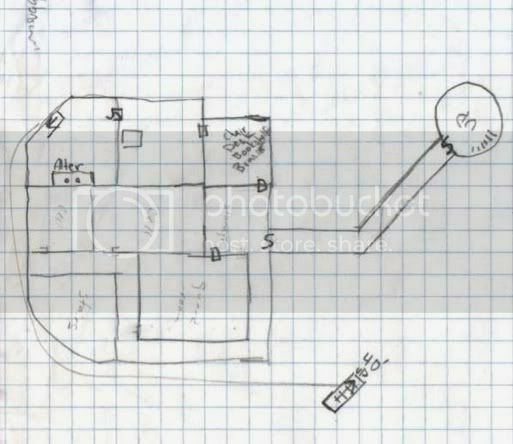 There are, of course, towns, villages, and geographic features not yet noted on the map; they'll get added as they become important. Bread and Circuses players take note; this is where you live, too. Scandshar is right in the middle. And yes, you grognards, one hex is six miles across. 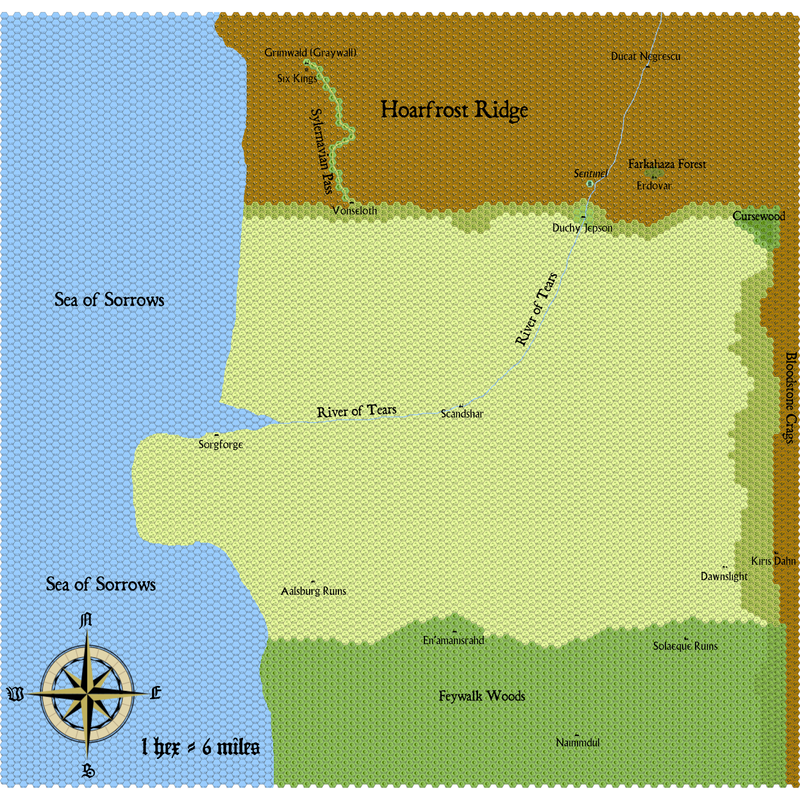 Geographic features are written in Dominican font; settlements are written in Village font (or you can download it from this The Prisoner fansite).